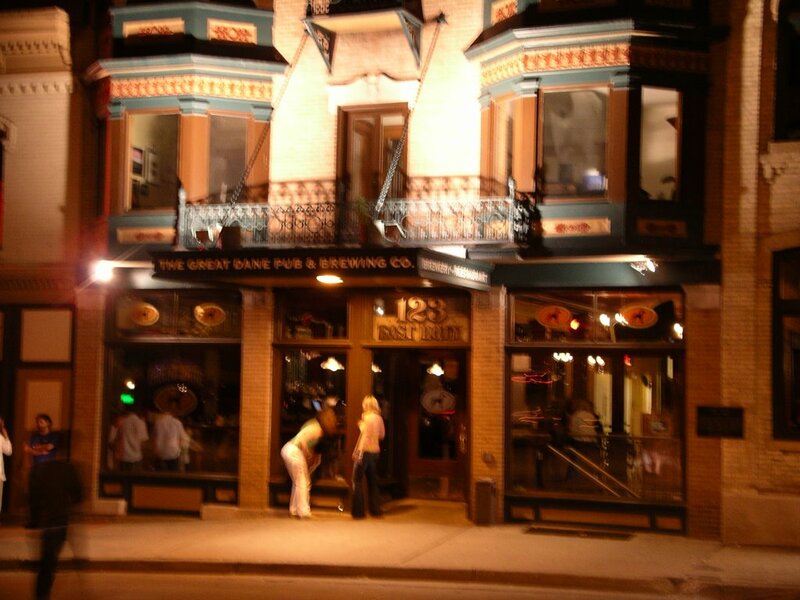 This will be an uncharacteristically short review of the Great Dane Pub in Madison, Wisconsin. I am keeping it short because the visit was short; so short, there was only one beer consumed. But, on the other hand, the 1/2 hour experience is worth at least telling you the pub is certainly a destination if you are ever in downtown Madison. I informed you recently how The Old Fashioned, a pleasant few blocks away, serves up some of the best local fare, both food and beverage. 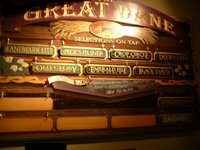 Great Dane is certainly a local institution as well and serves up around a dozen or so decent-looking beers, respectable pub food, good entertainment, and friendly staff. It definitely seems like they probably draw a decent college and early-20s crowd. During this visit, we enjoyed a porter and a stout before returning back to Mark and Susan's for the night. Both were very nicely done. It had been a long day and a hearty dinner with beers that did us in. Plus, we wanted to stop over at Brocach, a favorite Irish watering hole whose owner's we had met the previous night. But, even then we were wiped out and decided not to stay there. The porter and stout, though, certainly had us making a tough decision to leave. 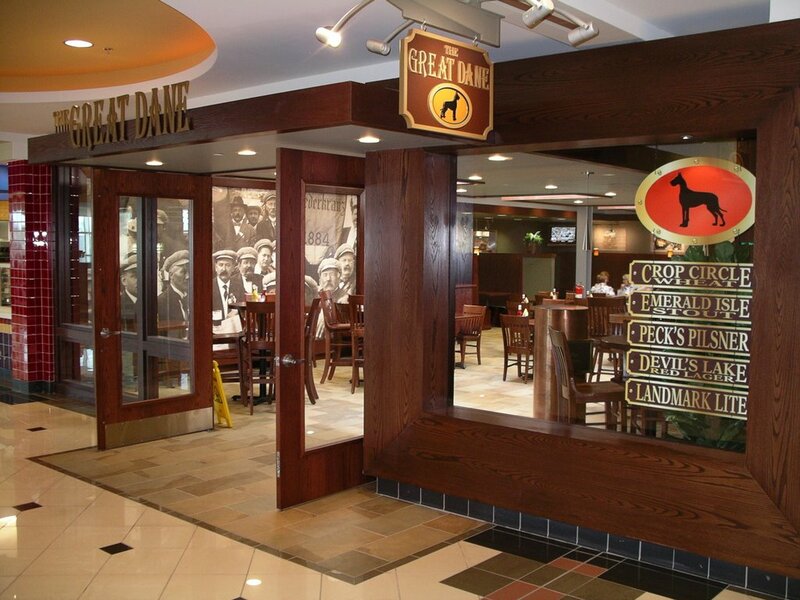 Back to the subject at hand...Great Dane. There is another location in Fitchburg, WI. Obviously, I do not know anything about that one. But, if you can get to the one in Madison, you should not be disappointed. And, if you are flying through the airport and can't get into the city, you will be pleased to know that they have a nice pub location at the Madison airport. Oh, did I mention I got an IPA there before heading home on our flight? !